RUSH: What is this? 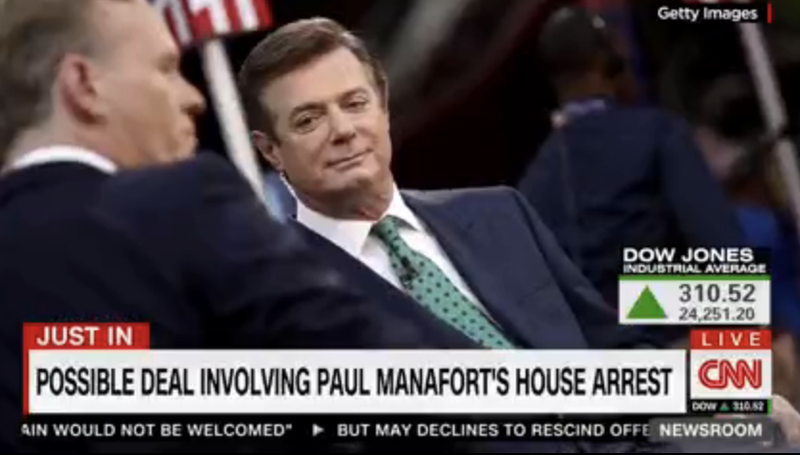 CNN reporting that Manafort and Mueller have reached agreement. Manafort has flipped, is that what they’re trying to say? We’ll hold off on any details since we don’t have ’em and we’ll wait until we get details, and we’ll pass ’em on. RUSH: All right. The Manafort-Mueller deal is just about his bail. It’s not about anything else. Manafort still has to be approved by the judge. Got the details in front of me but not enough time to share them with you here. But all it is is an agreement on his bail, what he forfeits if he splits down and, you know, what he’s promising to give up and this sort of thing. Judge hasn’t even approved it yet.